Your website is the hub of your brand, your calling card to the world and your most important marketing tool. It is multi-faceted – the nerve centre to which all roads lead back. Good website design is therefore essential. 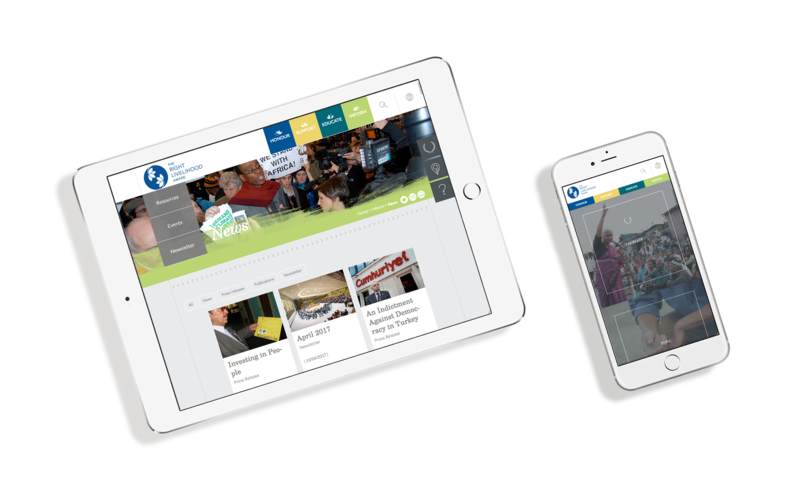 In a highly competitive visual market, the appearance of your site will instantly inform clients about you and your business. In making your site visually attractive and functionally effective, good design really does matter. 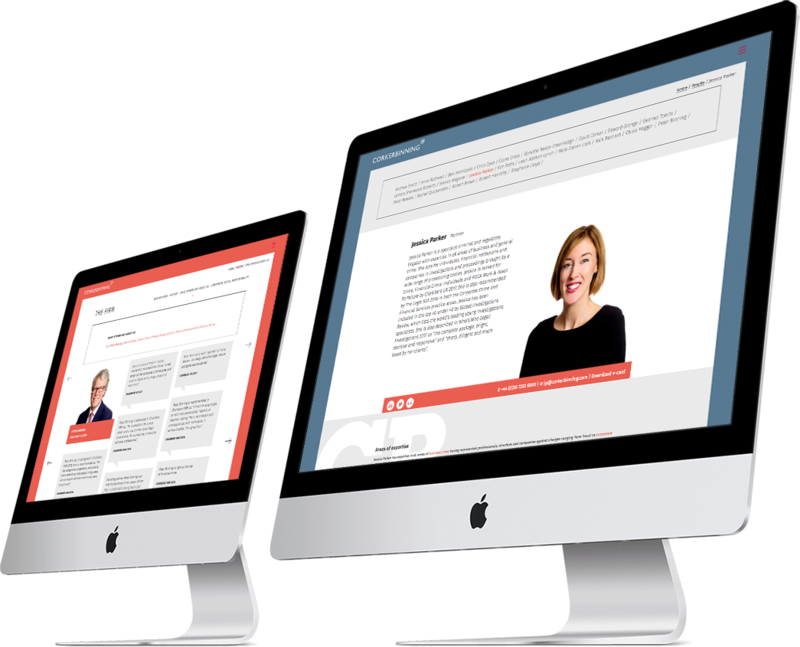 We have considerable experience in designing websites for businesses and professional services organisations, sympathetically and intelligently matching good design with focused content that gets your message across in simple, clear terms. To achieve the highest standards, we integrate website building, design and the creation of content in an open-plan studio. For your website, this means that we dovetail each element, building websites around content in a holistic way – something which most design agencies do not. In creating or redesigning your website, the user journey must be clean and straightforward. It must breathe. Strong design needs to be supported by an equally robust thoughtful structure so that features and menus are accessible and easy to use. Navigation must also be simple and clear: your clients no longer devour websites just from the home page; instead they search organically. Google search will bring them on to pages that have key words that are relevant to your clients. When potential clients visit your website, or find you through a Google search, the process is largely passive. By contrast, digital newsletters are an active method of targeting your clients with specific tailored information. We can take a direct approach on your behalf and work on your database to develop HTML newsletters that are then delivered directly to your target audience, coded and embedded in an email. Because many of your target clients already get hundreds of emails each day, the key objective is to achieve effective cut through. We do this in a way which is both customised and personal. No matter how good the substance of your digital newsletter, it must be supported by compelling design. The end result is an aesthetically appealing invitation to read something which contains newsworthy content, focused on the interests of the recipient. To attract each reader, we support your narrative content with design that is both clear and sophisticated, and displays your brand and values. 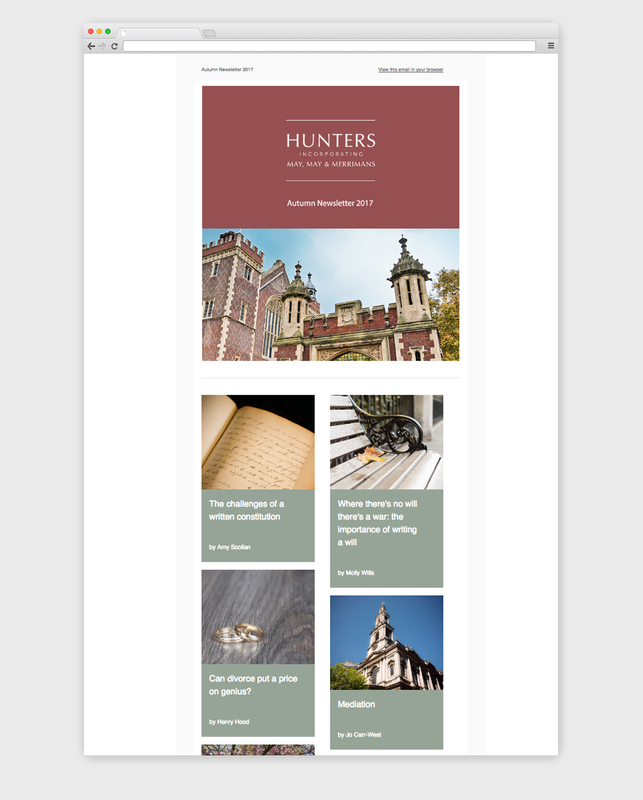 When reading each digital newsletter, clients can also search your archive for other articles, blogs or newsletters you have written. Everything in the archive will have a consistent professional appearance in style and format, supplemented by the use of your corporate branding. We also track the performance of your digital newsletter, both in terms of open rates and consistent editorial and design format directed to your specific client audience. Using this as an additional means of communicating with your clients, you can build and maintain strong relationships with them by providing regular and relevant information that is pertinent to their commercial activities. Your website not only has to look good, but the meta tags, links and key words behind each page must be constructed to maximise traffic according to relevant search criteria which we can help determine with you. For this invisible design element, the key response criterion is quality rather than volume – we design your website not only to look good, but also to attract the right clients for you and your business. Not only are responsive websites more reliable and functional, they appear higher up on search engine rankings. Your website will be adapt to a multitude of devices and browsers to ensure your clients always see your brand at it’s best.